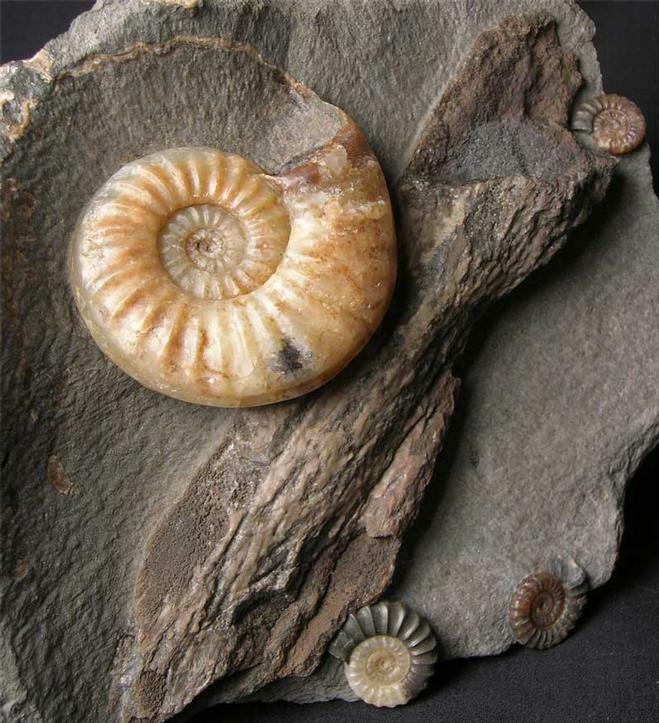 A beautiful moment in time where an ammonite has come to rest against a piece of a branch from an ancient Monkey Puzzle Tree some 200 million years ago. 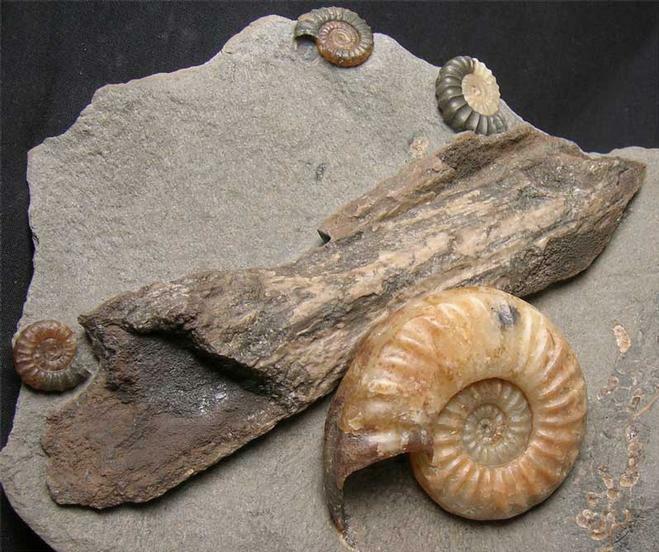 These special fossils are not only very aesthetic, but becoming rare from this world famous fossil locality. 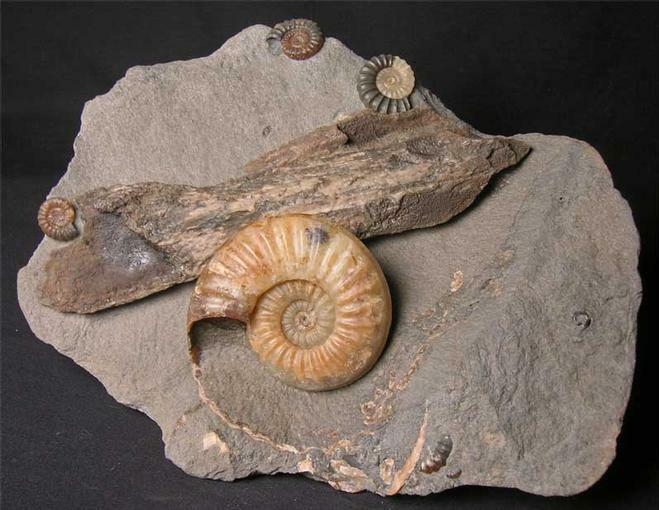 There are also three Promicroceras planicosta's which really adds to the piece. This particular association has been captured within a 'Woodstone' nodule which are only found on Black Ven and nowhere else in the world. 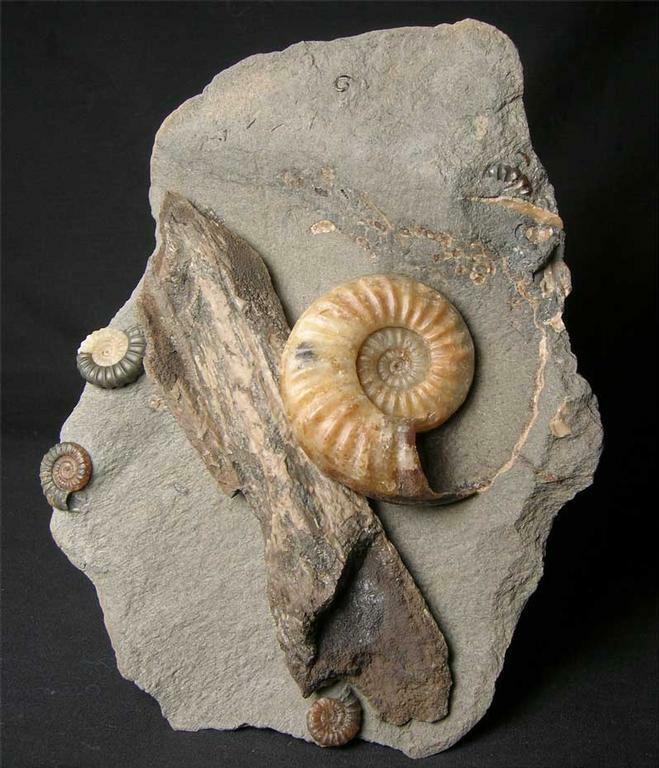 Many hours of preparation has gone into this superb and rare fossil by Andy Cowap. Nature's work of art.